Great Grand Masti to star 3 Indian Beauty Queens! Great Grand Masti or Masti 3 is the third instalment of the Masti series and like the previous too films, it will be an adult comedy. Vivek Oberoi, Riteish Deshmukh and Aftab Shivdasani will continue in Great Grand Masti, like the previous two films of the series. However, the film is special because it will also star three Indian beauty queens – Pooja Chopra, Sonal Chauhan and Urvashi Rautela. Prior to this, Lara Dutta and Priyanka Chopra starred together in Andaaz. Lara Dutta and Celina Jaitley starred together in No Entry. Great Grand Masti will be perhaps 6th film of Miss India World 2009 Pooja Chopra. 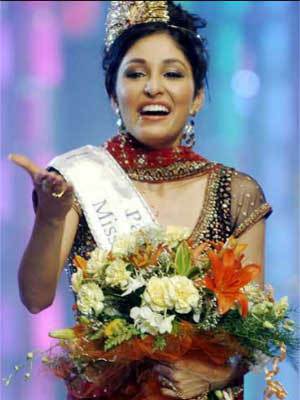 Pooja Chopra was semi-finalist in Miss World 2009 and had won the prestigious Beauty With A Purpose award. She had made her Bollywood debut by a small part in Priyanka Chopra starrer Fashion. Pooja will be playing the role of Riteish Deshmukh’s wife in the movie. Great Grand Masti will be perhaps 5th Hindi film of Sonal Chauhan. Sonal was a Top 10 finalist in Femina Miss India 2005. She won the title of Miss World Tourism 2005. She made her Bollywood debut opposite Emraan Hashmi in Jannat. She got a filmfare nomination for her performance in the film. Her last film was 3G opposite Neil Nitin Mukesh. She also sang a song in the film! Great Grand Masti will also star Urvashi Rautela. Urvashi won Miss Asian Supermodel in the year 2011 in South Korea. Then she won Miss Tourism Queen International. Then she won the title of I Am She – Miss Universe India 2012, but she had to resign because she was not meeting the age requirements for Miss Universe 2012. She made her Bollywood debut opposite Sunny Deol in Singh Saab The Great. All the three beauties are yet to make a major mark in Bollywood. Masti movies have been commercially successful and the third instalment will perhaps be a hit too. Let’s hope Great Grand Masti proves to be something grand for the three lasses.